THE University of Benin, popularly known as (UNIBEN), management team has today, announced that the academic institution will commence her Physical Clearance, starting on Tuesday, the 6th of January to Friday, the 13th of February, 2015, all concerned students should please, take note of the above mentioned dates. Below are some important information regarding the physical clearance for all newly admitted candidates for the 204/2015 academic session. Please take note that only candidates who are scheduled for clearance per day will be attended to. Don’t forget to check your clearance date which can be found on your online profile and print out your invitation letter. please note that your device must be able to access PDF files, because the above file is uploaded in a PDF format. The above downloadable document outlined the guidelines for the conduct of the clearance exercise. All interested students/candidates are advised to download and go through the document for the sake of clarity and to prevent mis-information. Take note that there shall be no financial transactions in whatever form at the Main Auditorium Clearance Venue. Collection of dues, levies and other forms of Payment and Purchases are strictly prohibited in the Main Auditorium Clearance Venue. 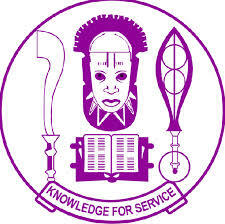 of Uniben. Take note of this information and share with your friends on facebook, twitter and Google+, using the share buttons below.